Skaar is a fictional comic book Character appearing in books published by Marvel Comics, usually as a supporting character to Hulk. He is the son of the Hulk and the extraterrestrial Caiera, who conceived him during the "Planet Hulk" storyline. 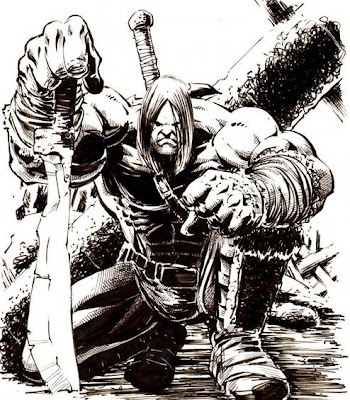 Created by writer Greg Pak and artist John Romita, Jr., he first appeared in World War Hulk (January 2008)...More about Skaar Character Review - keep reading !! Skaar has powers inherited from both his parents. Like the Hulk, his father, he has superhuman endurance, regenerative abilities, and superhuman strength and durability, which, like his father, increases when he is enraged, although he is not as strong as the Savage Hulk persona. He can boost his strength further with old power, in one instance having absorbed the energy of an entire city. He also can revert to a human form when calm or otherwise incapacitated. However, in his case, his other form is half-human, half-Oldstrong. From his mother, Caiera, he has the powers of an Oldstrong, emerging from his birth cocoon able to walk and talk within moments, and he can draw power from the planet and harden his body. Having been born within the depths of a lake of lava Skaar is resistant to intense heat. 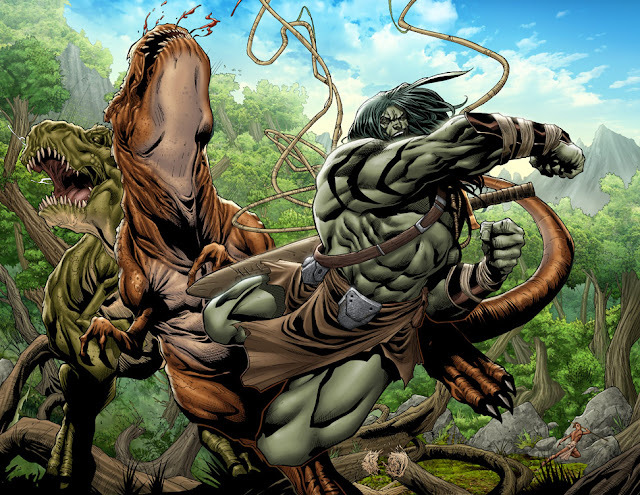 Skaar will appear in Hulk and the Agents of S.M.A.S.H. voice by Ben Diskin..